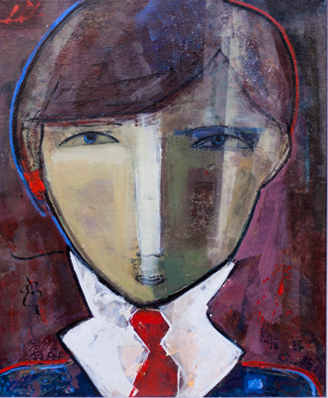 Afternoon Thoughts by Conchi Ororbia is an expressionist portrait that captures the thoughtful composure of someone reminiscing about past decisions. This wall art is composed in rich shades of blue, red, and green. In Evening in the Front Row by Conchi Ororbia portrays the expectant gaze of a flawless woman ready to be impressed by whatever glorious show she is about to witness. 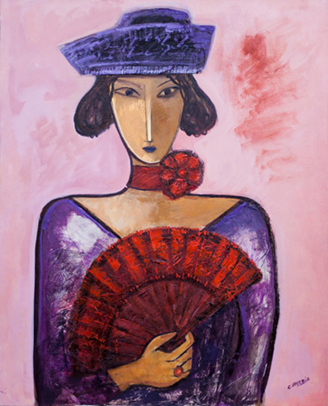 This figurative painting is clad in luxurious shades of red and purple with a soft pink backdrop. 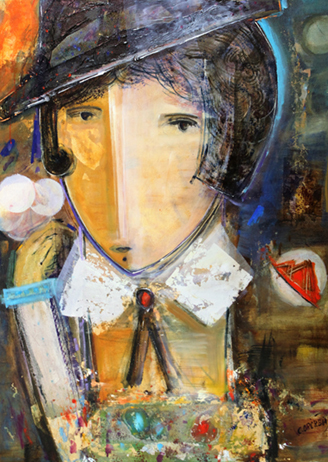 Fantasies by Conchi Ororbia is an elegant portrait composed with expressionist textures and an earthy palette. 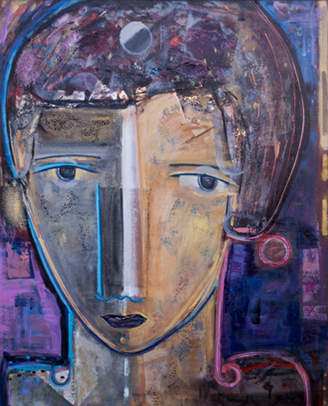 Black curly hair and beady eyes add a classic feel to this original painting. Fashion Show by Conchi Ororbia shows the finesse and elegance of a model posing at a fashion exhibition. 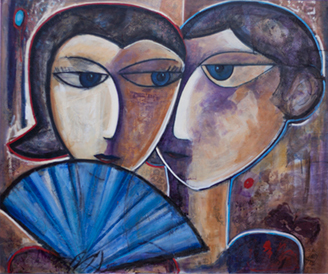 This fine art painting is composed in a palette of earth tones with bold blue highlights. 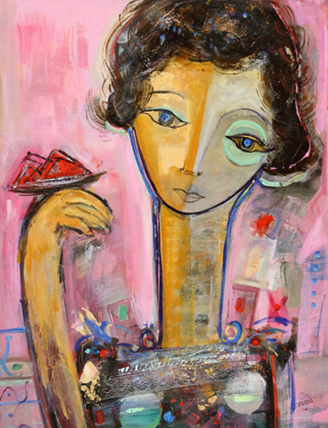 Goodbye by Conchi Ororbia is an imaginative portrait that uses expressionist technique to display the solemn nostalgia of saying goodbye in a surprisingly joyful palette of yellow and pink. 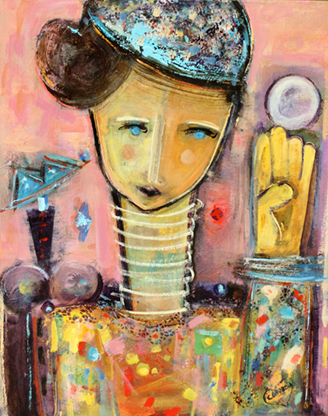 Harmony in Turquoise by Conchi Ororbia is a lush painting captured in tones of blue, pink, and yellow. Rich textures add to this romantic portrait of a couple deeply in tune with each other. On the Same Wavelength by Conchi Ororbia portrays the concept of friendship, and how even on a grim day, if you have a friend by your side, you can get through it. 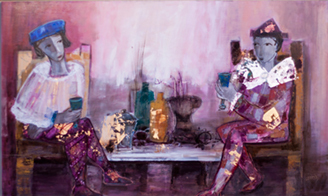 This figurative painting is composed in shades of purple and red. 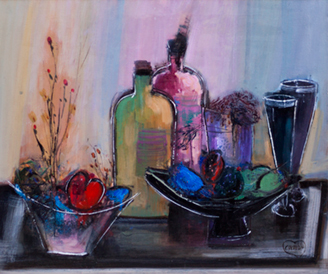 Pink Still Life by Conchi Ororbia is a playful still life painting that captures an array of plants and fruits that are dead, but painted in an array of bright and lively colors that belie their decomposing state. 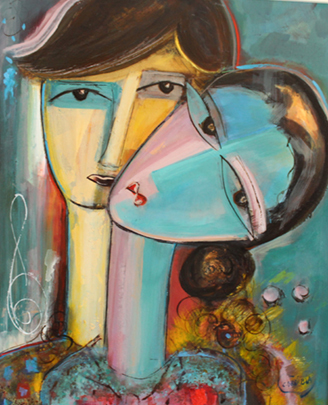 Reflexes by Conchi Ororbia is a soft portrait done in a style similar to Picasso. 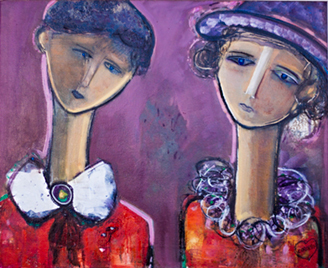 This piece uses soft shades of pink, blue and purple utilized by the artist to allow viewers to feel relaxed and serene. 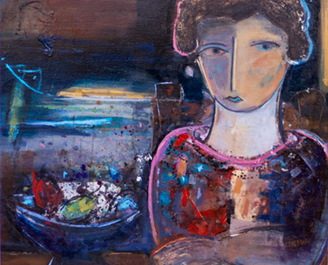 Sea Breeze by Conchi Ororbia is a figurative painting featuring a woman lying on the beach, caressed by the tender spring breeze. 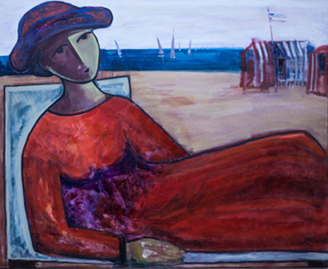 The woman is clad in shades of red and purple, and in the background are beachside cottages and distant playful sailboats. Tablecloth by Conchi Ororbia is an intimate portrait captured with expressionist strokes and color schemes, giving a feeling of solemnity and peace. 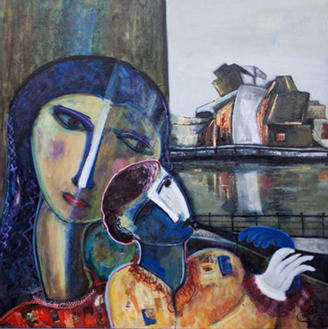 This fine art painting is full of an array of rich colors which makes it perfect wall art for display in a dining room. 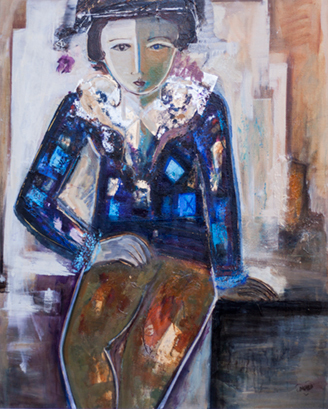 The Flight of the Butterfly by Conchi Ororbia is a portrait reminiscent of the work of Pablo Picasso, with the friendly butterfly that is common in several of her original paintings. 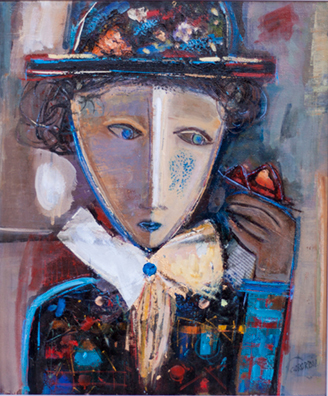 The Lollipop by Conchi Ororbia is a composition featuring the round face and eyes of a child. 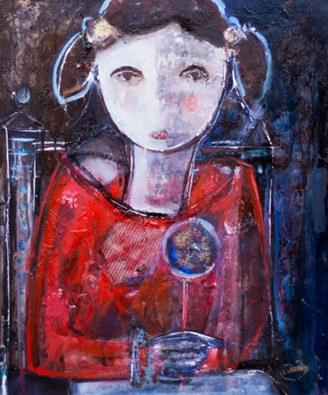 This painting captures childhood innocence in the red hues and round lollipop clutched in the little girl's hand. 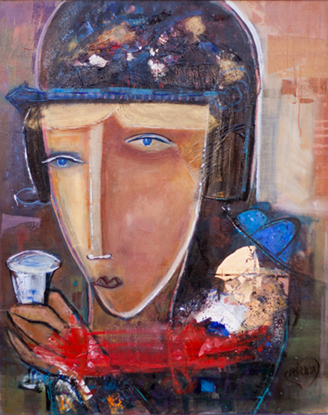 Toast to the Sun by Conchi Ororbia captures the subtle gestures and expressive eyes of a figure about to raise a toast. 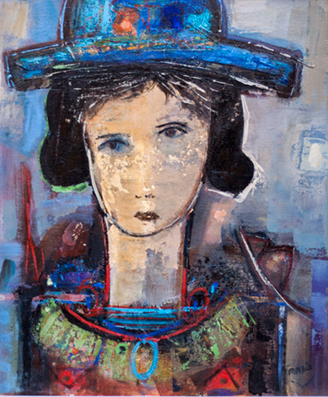 This figurative painting is composed in a palette of earthy tones with blue and red highlights. 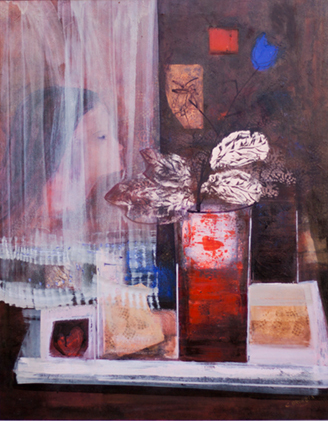 Transparence by Conchi Ororbia shows with a unique touch of elegance and subtlety the presence of a female behind a sheer curtain. This piece will add a feeling of delicacy to a guest bedroom.